When Alan Tang Ming-chun was in secondary school, his daily schedule was quite different from his fellow classmates. 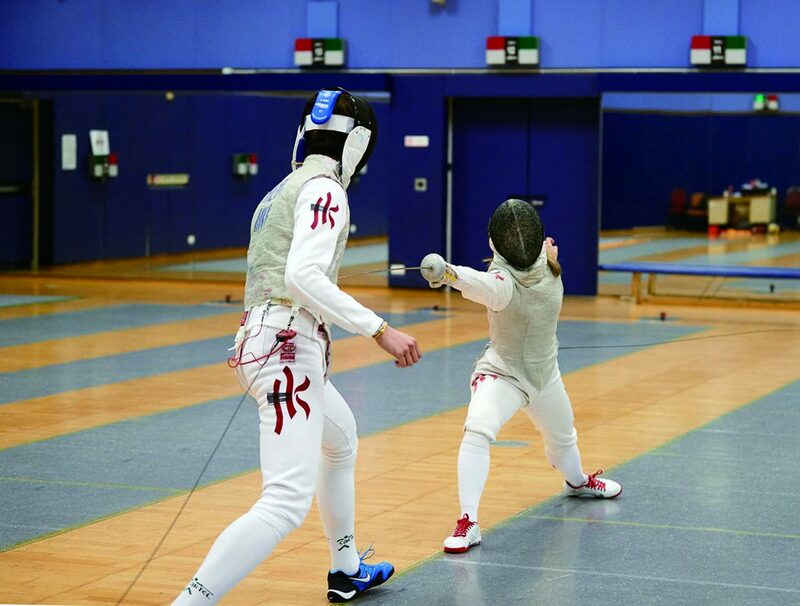 As a sabre fencer in the Hong Kong Junior Fencing Team, he had to train at the Hong Kong Sports Institute (HKSI) on weekdays after school for up to five hours and attend private coaching on the weekends. 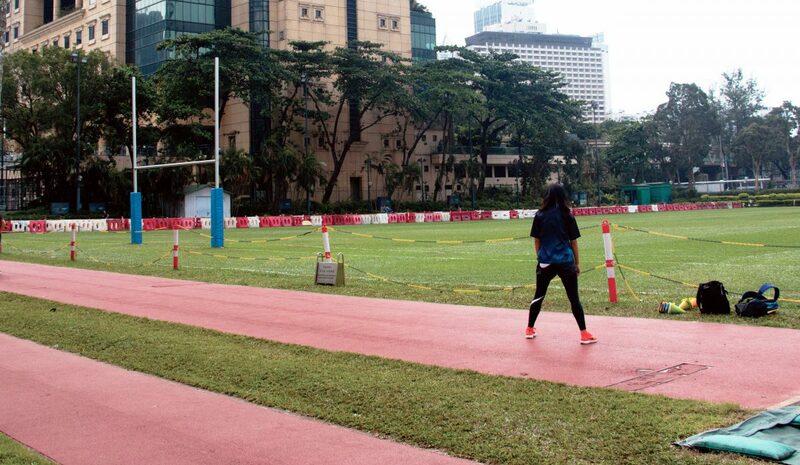 Tang’s case reflects the situation of many secondary school student athletes who train as either part-time or full-time athletes at the Hong Kong Sports Institute, the city’s official training base for elite athletes. Scattered across different schools around Hong Kong, these secondary school student athletes receive varying degrees of assistance and support from their schools in pursuing both their academic and athletic achievements. Tang says that though the school he attended, Cheung Sha Wan Catholic Secondary School, was accepting and supportive of student athletes, there were no specific policies in place to aid athletes in academic learning. Even if students performed poorly on tests, his school did not offer any supplementary courses for senior form students, and practice exam sessions were often held after school, when athletes had to rush to practice. The time clash between the extra classes and the athletes’ training routines made it even more difficult for them to seek academic help. Limited facilities at the school also posed challenges. As the fencing team at his school was rather new, Tang says they initially lacked a lot of the necessary equipment needed for practice, until his team and coaches reflected their concerns to the principal. This resulted in the team receiving a sum of money for purchasing equipment which eased a small part of their burden. Despite his struggles in balancing studies and sport, Tang feels that the school tried its best to encourage student athletes. “The school gave us a lot of space to unleash our potential, to practise and to take part in competitions. It was generally supportive,” he says. Mandy Lau Hiu-man, 20, who represented Hong Kong in the 2018 Asian Games, has been a softball player for seven years. 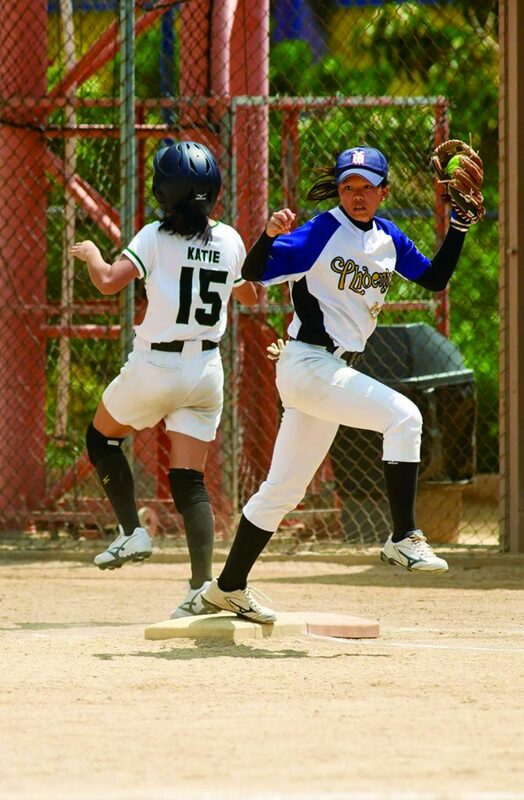 Currently, she is training on four teams, including the Hong Kong National Women’s Softball Team and the Chinese University of Hong Kong (CUHK) Softball Team, while pursuing her degree in Food and Nutritional Sciences at CUHK. During her time at the secondary school she attended, Heep Yunn School, Lau found the balance between her academic studies and sporting pursuits manageable, as her school was understanding about student athletes and tried to accommodate their needs. She recalls that when she once had to skip school to go to a competition, her teachers held make-up classes for her and her fellow teammates. In terms of athletic support, the school provided subsidies when athletes had to book off-campus training venues, as well as sponsoring half of the coaching fee. There were also a lot of personnel dedicated to the various sports teams. Lau says that three coaches were hired for the softball team, and the school also assigned a teacher-in-charge for each sports team to handle administrative work. Some teams even employed additional fitness coaches. As Ron Lee, director of community relations and marketing at the Hong Kong Sports Institute, explains, the purpose of the scheme is to provide flexibility for secondary student athletes that train at the HKSI. These students are required to train 15 hours a week in order to qualify as a part-time athlete, or 25 hours a week to be a full-time athlete. They also have to attain top rankings in their sport in order to benefit from the free training, meals and accommodation offered by the institute. Qualified individuals are further subsidised by grants. In other words, their training time is not only essential in excelling in their sport, but also necessary in ensuring their status at the HKSI. Since the scheme operates on a voluntary basis, Lee says schools can still maintain administrative autonomy in setting up policies for their student athletes. Therefore, even with the same vision in mind, there is still a large discrepancy in the support athletes receive at these schools due to the scheme’s lack of mandatory instructions. For instance, Lau says that Heep Yunn School did not provide athletes with flexible timetables, even though such flexibility is one of the components of the Elite Athlete-friendly School Network guidelines. Another initiative the HKSI has launched to better resolve the challenges student athletes face is the Partnership School Programme. Established in 2015, the programme is designed specifically for student athletes to pursue dual career paths as a student and as a full-time athlete and offers benefits such as extra tutoring and a lengthened course of study, as students can be enrolled in senior secondary levels for up to six years. It also enables students to apply easily for absences, as long as they have documents from their head coach. Lee believes the creation of the programme can reduce the turnover rate of elite athletes. In the past, award-winning student athletes started to quit their sports careers as soon as they reached Form Six. “Because the Hong Kong education system demands [good] grades, parents and schools keep a close eye on these athletes. But when you have this [kind of policy], it can gradually shape the culture of society,” he says. So far, the English Schools Foundation, which has 22 schools under its wing, and Lam Tai Fai College, have signed memorandums of understanding (MOUs) with the institute to become partnership schools. Once they receive referrals from their managing coaches and their respective sports associations, students who have signed the contract to become full-time athletes are eligible to apply for senior secondary places, regardless of the previous institutions that they studied in. In Lam Tai Fai, admitted athletes can either join the regular class or the specialised PE class, which consists solely of full-time athletes sponsored by HKSI. Eighteen-year-old Karate athlete, Chau Ka-him, who has been in the Hong Kong National Team for eight years, transferred to this class when he was in Form Four. In the past, he says, his school prohibited him from increasing his training time. His experience at Lam Tai Fai College, where he only had to go to school for three and a half days per week, was a huge contrast. Chau notes that this flexibility in class time was the biggest difference between his previous secondary school and Lam Tai Fai College. The attitudes of the teachers were also quite different. “Teachers were more eager to spend extra time helping us catch up with the curriculum because they understood our situation,” he says, adding that they were always willing to answer students’ queries online, arrange supplementary classes, and design new sets of exam papers if students missed any exams due to training and competitions. In case students have to participate in overseas training, resulting in longer absences, the school also had a solution. “We actually videotape each lesson and upload it onto e-class,” says Tony Lai Yeung-keung, director of sports development in Lam Tai Fai College, “Students who need it can then revisit the lecture online.” Additionally, teachers email the learning materials and assignments to overseas students, and provide feedback on their homework as well. In spite of the numerous advantages, the number of beneficiaries of the Partnership School Programme is rather small. In the 2018-19 academic year in Lam Tai Fai College, there were 24 students enrolled in their regular classes. For the specialised PE class, there were a total of 43 students from Form Four to Six. However, in 2016/17, there was a total of 106 full-time elite junior athletes supported by the HKSI. This means that a considerable number of students still cannot enjoy the tailor-made policies. For the remaining athletes who study in mainstream secondary schools, the situation can be dire. Raymond Sum Kim-wai, who is an associate professor at the Department of Sports Science and Physical Education at CUHK, says that even now, there are some schools in Hong Kong that fail to provide student athletes with any support, or choose to only focus on the development of certain sports, neglecting athletes who excel in other areas. For instance, he says he has seen many cases where athletes had to transfer schools, as their original secondary school did not support the sport they played. Even in schools that have set up separate classes especially for student athletes, Sum has reservations over whether they are getting the education they deserve. His worry is that though in theory allowing student athletes to concentrate on their sports is a good idea, some schools, being more interested in using these students’ sporting achievements to boost the schools’ reputation, may teach these athletes less academic material. To him, this goes against the aim of whole-person education. On the bright side, Sum thinks that some recent policies aimed at supporting secondary school student athletes indicate that Hong Kong is moving in the right direction. For example, in recent years, the HKSI has established partnerships with five universities in the region to attract and facilitate more athletes to study at university. “This is beneficial … not only because it will affect [the atmosphere] inside the universities, but also because it will affect how secondary school students apply for universities. It will also affect how primary school pupils are admitted into secondary schools,” Sum says. His hope is that if this policy continues to expand, it can eventually transform how schools view, treat and support student athletes.